Over the last couple of weeks, we’ve been updating you about the case of Angel Reyes, a WAC member who worked through a temp agency – United Staffing – at the same workplace – Canada Fibres Inc. – for 5 years at minimum wage. He spoke to the Toronto Star in May about his experiences as a temp agency worker, and days later he was dismissed. 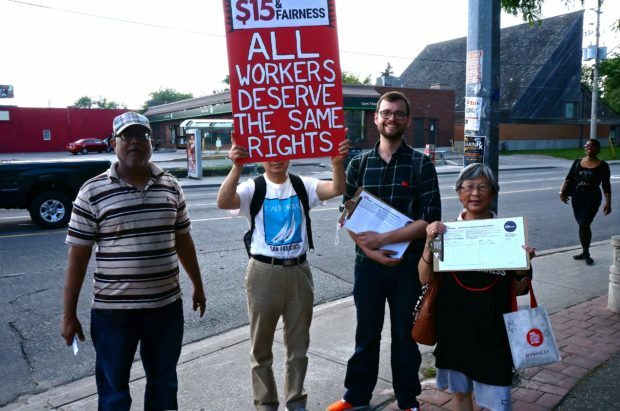 As his case made the headlines, the Fair Wages Office of the City of Toronto opened an investigation into the case. Why? Because the City of Toronto has a fair wage policy to ensure that contractors who win City contracts pay their workers at least the prevailing wage in their sector. 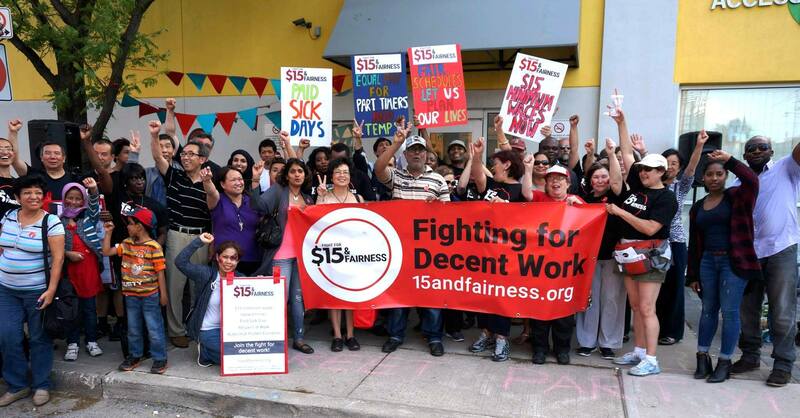 Canada Fibres Inc. has a large contract with the City of Toronto, and the Fair Wages Office is investigating whether, by hiring minimum wage temp agency workers, this policy has been violated. If found in violation, money can be witheld from Canada Fibres Inc.’s contract with the City to pay these workers what they are owed, the company will be listed publicly as having been found in violation of the policy, and could be prevented from bidding on future City contracts. These powers to sanction bad employers go further than the provincial government’s enforcement tools, an issue that the Toronto Star also raised in an article last week. The ability to force employers to pay money owed to workers, real financial penalties for employers that violate the law, and making this information publicly available are essential tools in deterring violations from happening in the first place. These are the kinds of changes that need to be made as the provincial government reviews our labour laws, so that workers can get real protections on the job. 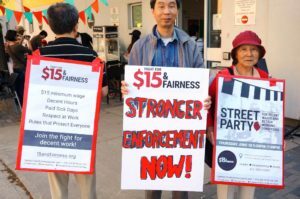 You can read more about how the Workers’ Action Centre thinks enforcement could be improved in our report, Still Working on the Edge: Building Decent Jobs from the Ground Up. Let the government know that you think about how our labour law is enfoced. Email Minister of Labour Kevin Flynn, or tweet him @OntMinLabour @MPPKevinFlynn. 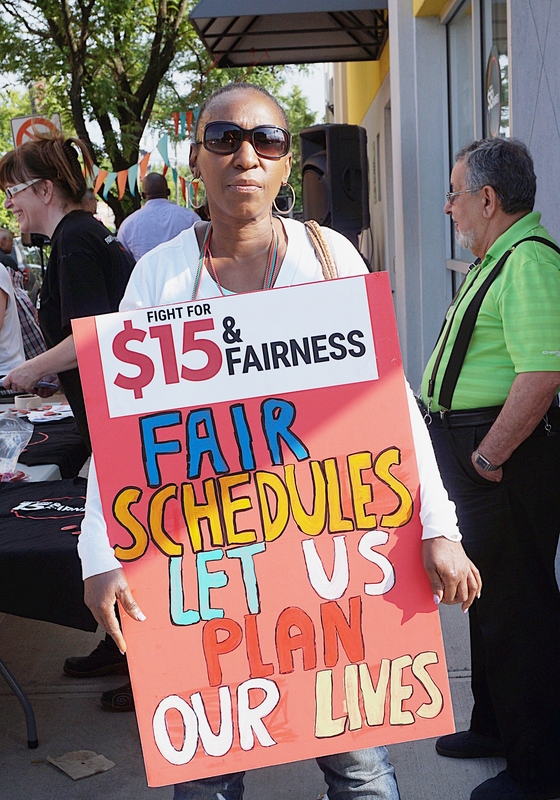 Tell him it’s #time4decentwork in Ontario, and ask your friends, family, co-workers, and neighbours to do the same.